I've never had a burning desire to go to Sydney -- until now. Taronga Zoo's unique accommodation experience, Roar & Snore, has been re-launched. You can now spend the night camping out with the animals, in the comfort of purpose built safari tents, while looking out over the Sydney Opera House and Harbour Bridge. The chance to preview this unforgettable experience is truly once in a lifetime opportunity. 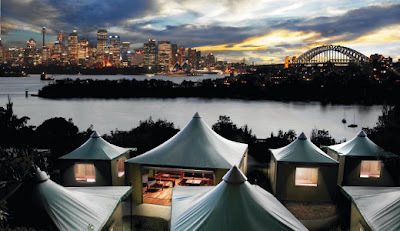 The ‘new' Roar & Snore is now a fully hosted experience which includes architecturally designed tents, a sumptuous roast feast, drinks in the main tent, up-close animal encounters and the only opportunity to camp overnight with the views of Sydney Harbour and the city on one side and lions, leopards and Meerkats on the other. 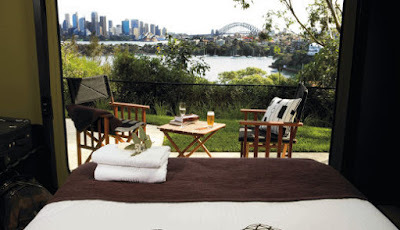 The tents are literally just a few steps away from the harbour view and include fully dressed double and single beds, all linen is provided and you also have the chance to shower while you enjoy the world famous views from Taronga Zoo. The only thing that you now need to bring to this new experience is a sense of fun and adventure. Wake the next morning to the roar of the lions or an elephant's trumpet as you prepare to experience the zoo before the crowds. Feed a giraffe or pat a seal as you go ‘behind the scenes' to learn about the secrets of this famous and fascinating zoo. Enjoy the sunrise, sunset or both from this exclusive location, contemplating the scene before you. 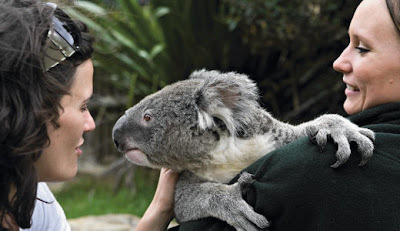 A night a Taronga Zoo's new Roar & Snore is an experience that you will treasure for a lifetime.